This is one mean looking dragon! Do you like dragons? Well this one has sharp horns and an unusual mane and beard! 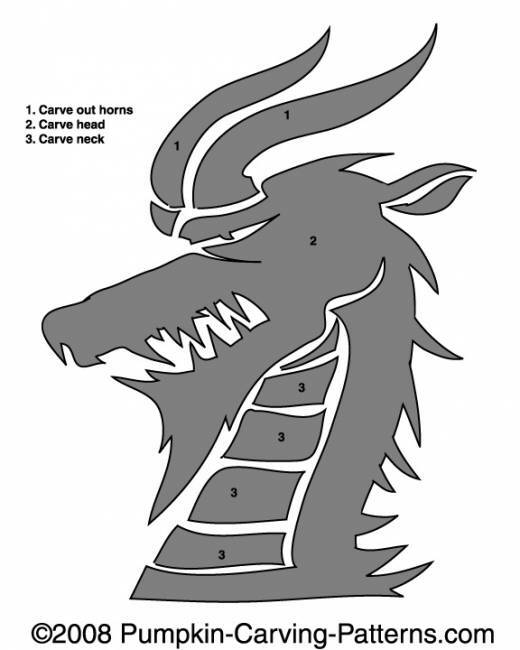 Try this template out for a truly unique and scary pumpkin this Halloween!